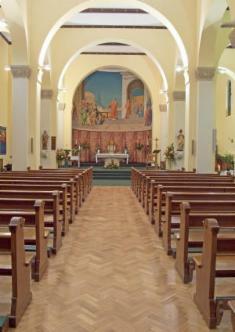 Confirmation - Welcome to St Lawrences Church in Feltham, Middlesex. Confirmation is a continuance of what has begun at our Baptism: a continuance of the developing awareness of the reality of faith and the presence of the Holy Spirit in our lives. At our Baptism faith was conceived: we became part of Christ's Body, part of his Church. Our Confirmation is the gentle unfolding of what our Baptism means. Young people in Year 9 or above who regularly attend Church and celebrate the Sunday Eucharist at St Lawrence’s can enrol on our Confirmation programme. Enrolment takes place in the autumn and the Sacrament is celebrated after Easter. The programme includes discussions led by catechists, guest speakers, a Day of Recollection and visit to Westminster Cathedral for a guided tour of the ‘Mother Church’. Confirmation programme details are published in our parish newsletter.